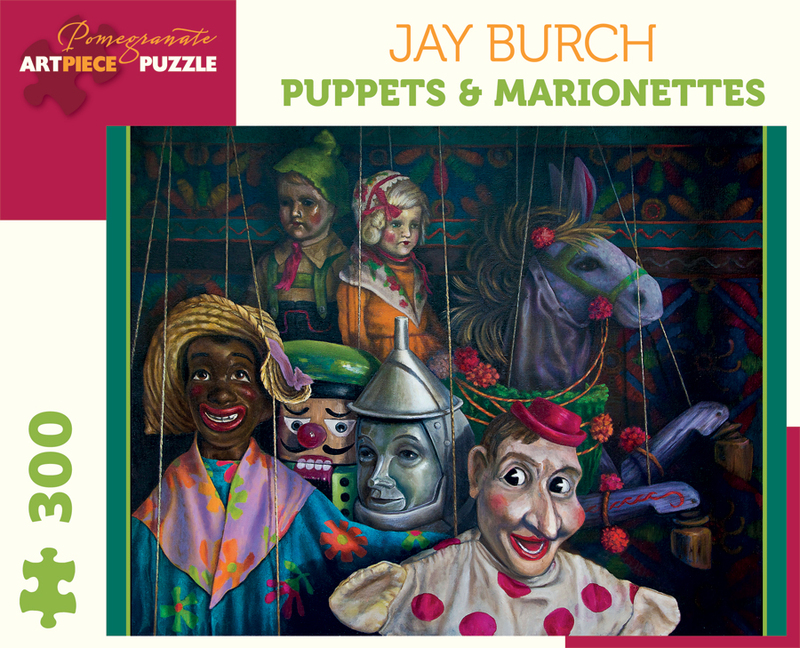 Everyday objects such as dolls and toys spark artist Jay Burch’s imagination. In the still-life study Puppets & Marionettes, it is as if someone has just opened the door to a backstage prop closet. The vibrantly painted characters are caught in a shaft of light, barely having had time to freeze and pretend to be lifeless. One wonders what mischief they have been up to.